Open pollinated, heirloom plants are incredibly important to preserve. 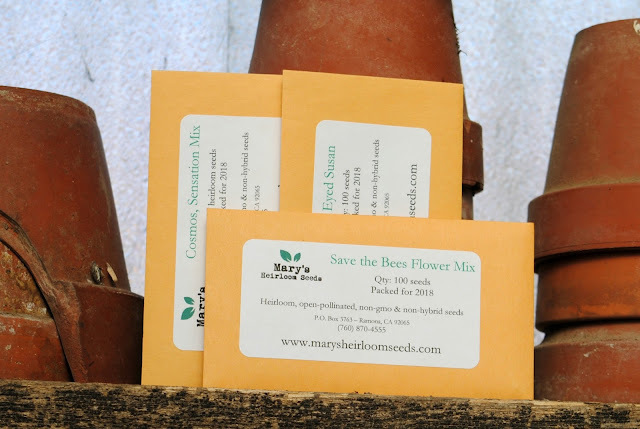 Any time I can participate in spreading news on where to purchase heirloom seeds, its an exciting day! who has been contacted via email and will receive her wonderful prizes soon! Your little house and yard sound wonderful. I've always wanted to live in some sort of "distinctive" dwelling, but, alas, I have lived in a small ranch in a subdivision for thirty-plus years. However, I do love the neighborhood. It's been a great place to raise our children as it has it's own park and only one entrance so there isn't much, if any, drive-thru traffic. My daughter and her twin boys, age seven, live here with me right now and it's such a good place for them. They can even walk to school. But I still do long for that old, uniquely designed house with special nooks and crannies and curliques. Perhaps in my next life! Anyway, a stone farmhouse sounds out of this world! Gardening is one of my favorite pastimes. Fortunately, I have a good-sized back yard which borders on a wild area which is protected and will never be built on. There are lots of birds and a few marauding deer which will come right up onto your lawn and eat the hostas! But lots of room for planting flowers and veggies. My daughter is a gardener also so she puts in quite a few things in the Spring. Hope your New Year is off to a good start! Will look forward to checking in with you in future.